Galway is the unofficial “capital of the west”, a straight shot across the width of Ireland, just over three hours from Dublin. Galway is referred to as the “most Irish” of Ireland’s cities as it’s the only city where you’re likely to hear native Gaelic spoken and it’s said that Irish music originated here. I had visited Dublin and Belfast prior to my trip to Galway. Dublin’s pubs and Belfast’s historical sites are amazing in their own ways but I still had not found what I set out to discover in Ireland. The Galway-Seattle sister city relationship began in 1986 in an effort to promote mutual understanding and communication between the two cities. To celebrate the relationship, dual stone monuments with the geophysical data of Seattle and Galway were gifted to both cities. The Galway monument sits on Seattle’s Alaskan Way waterfront at Pier 66. Additionally, student-exchanges between the University of Washington and University College Galway are organized annually. As I walk past Eyre Square and onto Galway’s main pedestrian through-fare, appropriately named Shops Street, I see brightly painted pubs and café’s overflowing with Irish flags, posters and hand-written menus offering front-row seats for observing street buskers and people watching. I pass two young musicians with fiddles and a banjo slashing through Steve Earle’s Galway Girl, which remained in my head the rest of the trip. 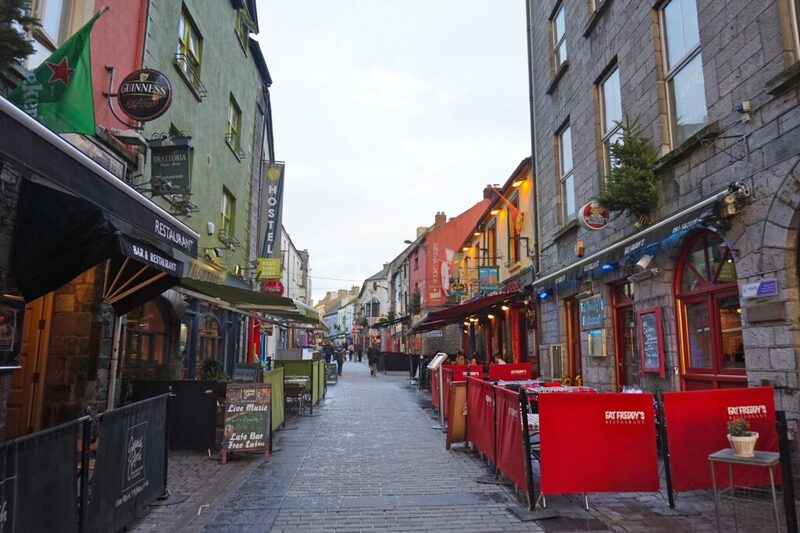 There are 21 pubs and six streets in Galway. The city is small. A local mentioned to me that Galway is a bad place to avoid someone; you’re bound to run into them somewhere. You don’t feel like you have to rush to see certain sights and attractions. The close proximity allows you to wander and stumble, albeit usually with a few pints of the Guinness thrown in for good measure. Munching on delicious fish and chips from McDonaugh’s restaurant, I made my way to Spanish Arch pub next door that was heaving with live music. 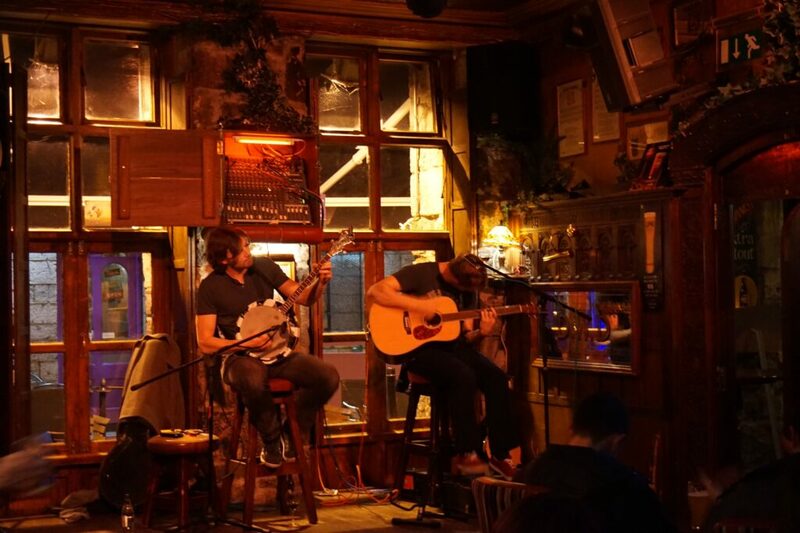 Galway’s music scene is so strong that you can find incredible live acts in multiple pubs, every night of the week. I took one last look at the bustling street behind me before entering the cracker box of a pub only to see fellow pub-goers grab each other hands and squeeze in before me. Two musicians played multiple acoustic sets with the entire pub clapping their hands and tapping their feet to the music like a hometown favorite coming back from a music tour. 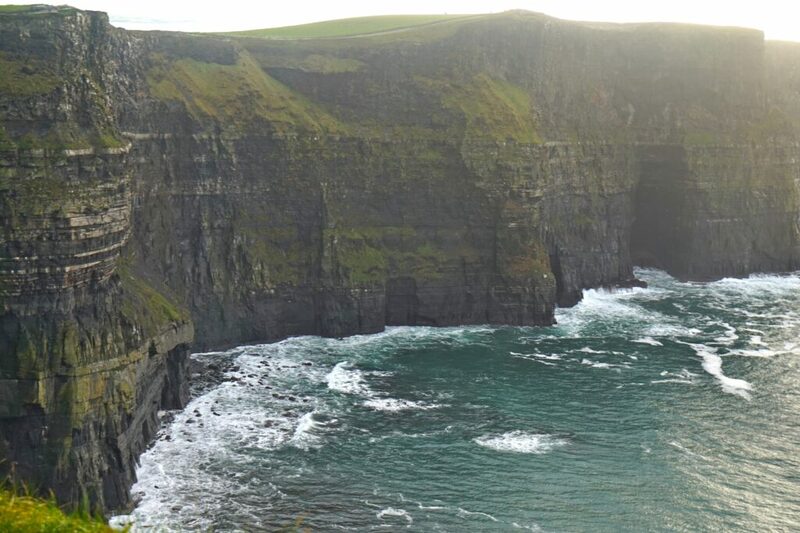 As a perfect day trip from Galway, I set out to see Western Ireland’s most popular attraction, the Cliffs of Moher the following day. 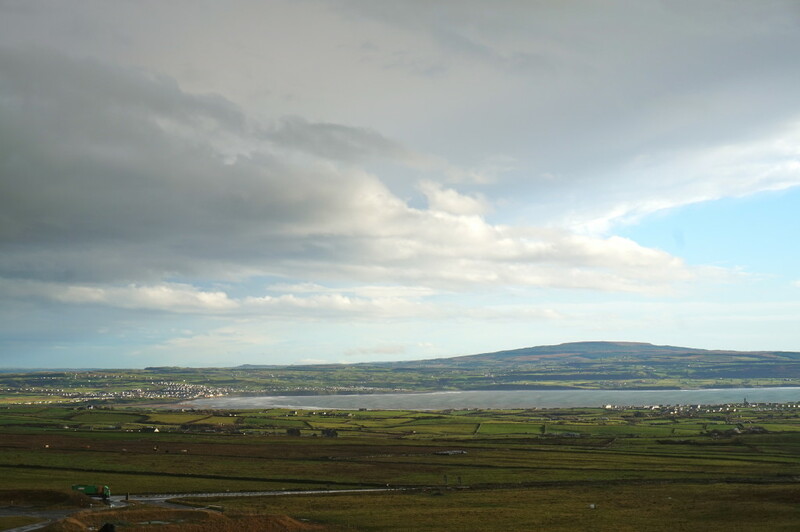 I traveled through the Burren landscape, home to the majority of Ireland’s flora and fauna, before arriving at the cliffs. Our quirky tour guide John Paul, later nicknamed “Johnny Boy”, taught the group a few Gaelic sayings while the entire tour bus sung along to none other than Galway Girl. 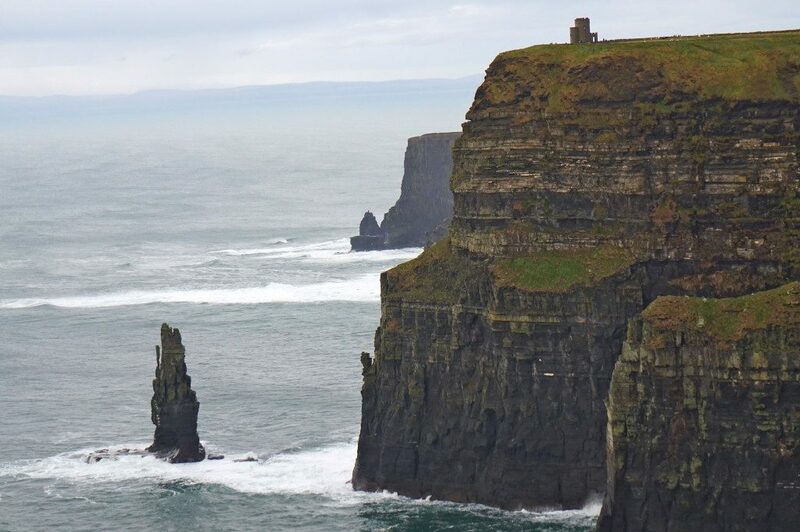 The Cliffs of Moher rise 702 feet above the sea and stretch five miles along the Irish coast. Standing at the edge of the cliffs with wind keeping me upright, I looked straight down to the sea and then to the horizon thinking about my travels so far. Its a moment I’ll remember. With new friends in tow, my tour group met at Taaffes Pub on Shops Streets for pints and live music later that night. There are few destinations where you can feel the spirit and culture of a place. 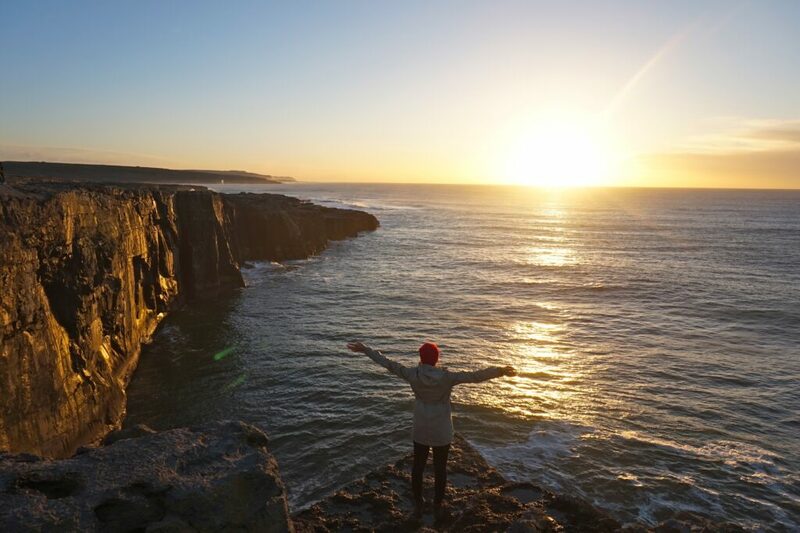 Whether it’s the thriving live music scene, friendliest of locals, tangible culture or perfectly situated base for exploring Ireland’s west coast; whatever “it” is, Galway has it. It’s more genuine, more relaxed, more real in Galway.